As we saw with Das Lied Von Der Erde, Mahler's spirits underwent renewal in his last years in spite of all that life was throwing at him. The calamities of 1907 generated a determination that life's riches should be enjoyed, even though they might be taken away at any time. His last three works, though fatally imbued with themes of his own approaching death, speak again and again of farewells that are loving and fervent, and of admiration for that which is left behind. Bitterness is there in abundance. In the central two movements of the Ninth especially. But bitterness passes in the end. Like everything, bitterness is transitory too. Deryck Cooke wrote: "It is given to very few to face fate as boldly and go down fighting as courageously as Mahler." Cooke also called the Ninth Symphony Mahler's "dark night of the soul" (a perfect description of the first movement especially) even more moving in that there is no easy giving way to despair, a fact interpreters would do well to remember. The Mahlerian love of living should shine through, even beneath the noble heartache that the last movement depicts and the horrors and personal demons that the first three dramatise. The Ninth has been a very lucky symphony on record as it seems to bring out the best in all conductors and orchestras. That isn't to say every recording is beyond criticism, far from it, but, leaving aside personal preferences, it seems every recording I have heard (except one) is of a uniform standard of excellence I don't think can be found in other Mahler symphony recordings. Is the work "conductor proof" ? Not in the last analysis, but it certainly comes closer than the others if the many differing interpretations that are available is any evidence to go by. The first studio recording was made by Vox in 1953 with the Vienna Symphony Orchestra conducted by Jascha Horenstein. This took advantage of the newly-arrived LP format so was the first time Mahlerites had been able to listen to the work without having to get up and change sides every four minutes. Until then the only commercial version had been the 1938 "live" recording by the Vienna Philharmonic under Bruno Walter on 78s. The Horenstein version is available today on Vox Box Legends (CDX2 5509) coupled with Kindertotenlieder sung by Norman Foster and is fully deserving of its place at the top table in spite of limited mono sound which, I think, actually has advantages at times. In the crucial opening pages, for example, the very close-in balance means every detail of Mahler's extraordinary late style is clearly heard, even if there's no question of a concert hall balance. You can also hear how Horenstein manages to blend each brief, crucial appearance of thematic fragment together. His tempo is about right also since "Andante comodo" suggests, to me, "walking pace", and that's the feeling here which carries forward to the first climactic arrival invested with a fine sense of release allied to the "Lebwohl" ("Farewell") theme that plays such a crucial role right through. The marking at the start of the development (at 108) is "....nicht schleppend" ("....not dragging") which Horenstein is more than aware of. But notice how he keeps forward movement up by some very emphatic playing from the orchestra, taking care especially to make us hear what the lower frequencies are doing. Indeed, his ability to deliver a "top-to-bottom" sound palette, every voice heard, is a familiar Horenstein trait. Impressive too are the first climatic collapse at 201-203 and then the passage at 211-266 which is marked "Leidenschaftlich" ("Passionate"). Both of these seem imbued with a grand stoicism which I find much more suited to the incredible journey this movement represents into Mahler's "Dark Night Of The Soul" than the, all too often, well-upholstered luxuriance some conductors give. It indicates an attitude towards what we are being led through, along with the presentation of the journey itself. This is surely at the core of Horenstein's view of this work and should stay in our minds to the end. For there is bitterness in much of this symphony, bitterness at the threat death poses and which, fully aware of, Horenstein is able to use to add to the drama. Notice, therefore, the emphatic quality to the muted trombone statement of one of the main themes at the core of the development and how the "Lebwohl" motive emerges from it almost chastened and quietly angry. Horenstein's complete grasp of this movement is even more in evidence in the way be picks up the threads and carries the rest of the central drama (267-318) in one great arc to the shattering clinching climax where the massed trombones blaze out the faltering arrhythmic motif from the start, effectively death itself naked an unadorned. Again the rather unsophisticated mono recording actually helps to convey a greater feeling of terror than is sometimes the case, a mood continued in the ensuing section (319-346) marked "Wie ein schwerer Kondukt" ("Like a funeral procession") where Horenstein encourages those trombones to punch out the rhythm in an echo of what has just gone. It only remains to say that the way the recapitulation slips seamlessly in is again an example of Horenstein's structural integrity, momentum maintained. In the coda the recording balance may be too close for comfort but there are benefits in detailing and in the slightly slower tempo Horenstein seems able to adopt. A superbly delivered first movement, then. Hard to imagine it bettered. In the second movement Scherzo it usually takes a conductor of Horenstein's generation to appreciate the fact that this is awkward, ugly music that needs to be taken at a relatively measured tempo to bring out the remarkable things Mahler does with the dance rhythms - landler and waltz. Many more recent conductor seem rather frightened to get their hands dirty with it. What Horenstein also does is add a sense of world-weariness which I find impressive. It's a pity the orchestra isn't stronger in the lower strings, though, as Horenstein's empathic way with their contribution is sometimes a bit blunted. No complaints, however, with the way he appreciates the importance of the three different tempo markings Mahler is careful to make. It's extraordinary how some conductors don't really seem to grasp them, or choose not to, but the way Horenstein does it you really can keep track of the material presented to us. Evidence again of his care for detail within the structure that was always a hallmark of his work. As also is the winkling out of extra meaning in the passage 230-257, an interlude before the main material re-starts. The way Horenstein slows down imperceptibly here reveals layers of meaning beyond many and this also goes for the passage with the solo violin played like a coarse village fiddler and taking us into the poisonous descent at the close where, as Bruno Walter memorably remarked, "the dance is over". In the Rondo-Burlesque third movement never was the marking "Sehr trotzig" ("Very stubborn") better observed. When allied to an edgy menace we have a performance of the movement that has about it a cumulative momentum you only really become aware of at the end. It is as if, as so often, Horenstein has seen the entire movement in one span. He also seems to have solved the problem that bedevils many in this movement in that he makes the lyrical central section (Floros's "Music From Far Away") seem to be a natural part of the structure: neither too fast nor too slow, it makes the perfect effect and one is aware right through of that menace and tension being held back ready to burst out again. Which it does, on cue, carrying us juggernaut-like to the riotous conclusion. The close mono recording again has its benefits in that you can hear every voice. Those for whom excellence of recorded sound is paramount will reject this version out of hand, but I maintain there is much to be gained here. Need for contrast in the arrival of last movement is taken care of by Horenstein in the nobility and simplicity of delivery. There's never any forcing of the great adagio theme which emerges song-like, paced beautifully, but with an underlying dark edge. In the second main section, where the return of the theme is led by the solo horn, you become aware Horenstein was doing something remarkable in the first section by holding back so this is now overwhelming in its power. My mind went back to the bitterness I noticed in the first movement because it is as if that has now vanished but the nervous energy it engendered has been transmuted into something positive. The music builds wave upon wave and here the sound on this old Vox war-horse is at its best with some rich and sonorous recording of the massed strings. When the extraordinary, withdrawn passage that precedes the final climax enters, Horenstein is able to draw us into a private world but still maintain the strong structural hand. The harp is too close in the balance but that is a small point. The climax of the whole movement - in fact the climax of the whole symphony - brings all the emotional power you could want and notice how Horenstein delivers the three violin sforzandos separately rather than running them together as most conductors do. The closing pages of the work must reflect Mahler's tempi requirements of getting slower and slower but must also not seem to become detached from the rest. Horenstein doesn't disappoint, though I do wish the recording again wasn't so close-in because mystery and desolation, which is so much a part of this music, is dissipated somewhat. You will gather I think highly of this recording. In terms of interpretation, I regard it as a benchmark. It's extraordinary that the first studio recording of a major work should get it so right the first time. For many collectors, however, the restricted sound will be a turn-off and I'd be failing if I did not draw this fact to your attention. The Vienna Symphony have their poor patches too and sound undernourished at times. I'm also aware of some unfamiliarity and under-rehearsal. There's another recording by Horenstein that I will deal with at the end of this survey which you may care to consider but, considerations of sound and playing apart, this earlier Vox recording must not be overlooked. The first stereo recording of the Ninth was made in 1961. The conductor was the man who had given the first performance in 1912 a year after Mahler's death and who had also been responsible for that first "live" recording in Vienna in 1938: his friend and disciple Bruno Walter. In his Indian Summer in California, Walter recorded the Ninth with the orchestra of Californian players assembled by Columbia and this is the version most Mahlerians of my generation learned the work from. In its present remastered edition on Sony (SM2K 64452) it includes the wonderful rehearsal sequences that made up the third LP in the original three disc set and which had disappeared in all subsequent LP re-issues. Narrated by producer John McClure, this is a crucial document in the recorded history of Mahler's music and should not be missed. The same can also be said of the symphony recording for it's the same grand tradition represented by Horenstein's though, of course, much better recorded. Walter's conception of the first movement is on the same scale as Horenstein though he's more hesitant at the opening, elegiac, valedictory. Impressions that will persist throughout. This is a perfectly valid view for music that explores aspects of death and farewell and must have been somewhere in Walter's mind at the time since he was turned eighty when the recording was made. Often you hear him depicted as a "softer-grained" conductor than many colleagues. To an extent this is true, especially when considering later recordings, but in no sense should it be viewed as a pejorative attribute. Listening to recordings made earlier in his career will tell you that even this probably had more to do with the development of the serenity that sometimes comes with age since the younger Walter was capable of furious accounts of music that other colleagues would send you to sleep with. This was never more so than with his first recording of the Ninth, as we will find out. In this second recording there is nothing blunted about the way he sifts the strange sounds at the opening of the development. Indeed he seems all too concerned to bring out the peculiar quality of Mahler's late style: rasps from muted brass, ghostly taps from the timpani. Maybe there are times when the tempo drops below Andante, but it's quite marginal. His stress on elegy and valediction, as compared with Horenstein's greater drama, can be perceived in the treatment of the falling "Lebwohl" motive which seems to turn the key of the movement for Walter whereas with Horenstein it's one among others. Both take the long breath, both are unerringly aware of structure in the way men of that generation were, but Walter brings out the more autumnal colouring, the softer shades, the mellower sound palette, where Horenstein seems more concerned with marking contrasts. For example, the muted trombones at the centre if the development don't "tell" as much as they do with Horenstein, they are more integrated into the texture. Likewise the cracks from the timpani at the climax of the movement, where death's annunciation on trombones blazes out in the opening arrhythmia, hit much harder under Horenstein. This is emphatically not a question of Walter softening the music then. Rather it's his way of shading what is there with greater stress on lyricism, mellower contrasts, maybe at the expense of some drama. The recapitulation resumes the mood of valediction and how moving is the long dialogue between the solo horn and flute that leads us into the coda where Walter's concentration never flags. Walter is splendid in the second movement also. In the rehearsal sequences we hear how John McClure had to plead with him not to stamp his foot in time with the landler and how, at the start of the movement in the finished recording, he wasn't successful. (Walter stamped his foot at exactly the same point in the Vienna performance twenty-three years earlier.) The attention to detail in this movement is wonderful, as is the attention to any music that shows kinship to the "dying fall" "Lebwohl" material in the first movement, notably in the Tempo III slower landler material. As would be expected, Walter also appreciates the need to delineate these three tempi one from another giving each dance a separate character that, when they combine, produce a mesmerising "dance-requiem". Not least the closing pages, so carefully rehearsed by Walter as you can hear in the rehearsal sequences, that simply breathe character from every pore. The Rondo-Burlesque third movement is a deal smoother than with Horenstein and others, so there's not as much "Sehr Trotzig" as might be hoped. I admire Walter's slightly more measured tempo, however. At this speed there's plenty of opportunity for the excellent woodwind players to chatter, giggle and unsettle in music that's more than just an empty showpiece. There is less of the cumulative build than with Horenstein, though. The "Music From Far Away" episode is pure and refined but, crucially, filled with nostalgia. Even if this does meant Horenstein's menace is missing it makes its effect. Walter was never a believer in stretching the fourth movement on the rack, sometimes to the music's detriment. In his 1938 "live" performance he delivered what is the quickest performance on record and even in 1961 the emphasis is on fluidity with perhaps some loss of emotional power and the kind of Zen-like stasis that can be generated in certain parts by some conductors, not always with conspicuous success. With Walter this is the nobility of farewell, more reconciled with the inevitability of death and leave-taking, and I think it suits the rest of his conception for all my niggling reservations. There certainly is much to move and impress, not least the last climax which has more than enough weight and power. A pity, perhaps, that Walter didn't linger more over the closing pages, keeping instead a single-minded concentration to the end just as he did in 1938. What we have is a perfectly natural and satisfying conclusion. All in all, this is one the greatest recordings of the Ninth - lyrical, nostalgic, valedictory, autumnal, expressing the mood of the conductor, playing up one aspect of the composer's conception in this late work. Where Horenstein seemed to be constantly asking the music questions, Walter seemed to believe he had most of the answers already. The playing of the Columbia Symphony is exemplary even though these musicians don't perhaps have the feel for the idiom their Vienna colleagues of 1938 had. The recorded sound is a rich and detailed balance, if a little weak in the bass and prone to a slight fizz at the top. Only four double basses were used which rather surprised Bruno Walter but this, according to McClure, was enough for the acoustic of the hall used. The great Mahler dichotomy that existed between Bruno Walter and Otto Klemperer ("He is a Moralist, I am an Immoralist," is how Klemperer put it) that we noted when comparing recordings of the Second Symphony and Das Lied Von Der Erde don't apply quite as much in the Ninth. But there are significant differences in their approach in terms of temperament and the aspects each chooses to bring out - or not bring out, as the case may be. Klemperer recorded the Ninth with the New Philharmonia in 1967, also late in his life, following two concert performances in London. This is now in EMI's "Klemperer Legacy" series (5 67036 2) keeping another great recording in the catalogue in excellent sound. At the start of the first movement Klemperer is as careful as Horenstein to make us hear every detail in this most important of openings, but notice the special sound of Klemperer's woodwind which will be a feature right through. Notice too that Klemperer's violins are divided left and right so we really register it's the Seconds who appear first. As the movement gets underway there is far less of the Autumnal feel so marked with Walter as Klemperer leans more towards Horenstein's approach, but is different again. Over and over it's Klemperer's particular way with balances and tone colours that impress the ear. In the passage marked "Etwas Frischer" (bars 80-107), for example, he is anxious to reveal more of the wind lines and this leads to a tougher close to the exposition than under Walter. Klemperer is, as we noted with the Second Symphony, ever the more earthly narrator in Mahler. In the Development section the music takes an even darker cloak with, for example, the muted brass contributions, what you might call the "dirty" end of the music, accentuated. Klemperer is also inspired at what can best be described as the arguments and debates that are inherent. An attribute he also shares with Horenstein. So, the collapse at 201-203 emerges with a fierce inevitability and then the passage marked "Leidenshaftlich" ("Passionate") at 211-266 is more brittle and febrile than under Walter. All familiar Klemperer approaches making this a more uneasy listen than is sometimes the case. Klemperer is again master of the dark tone in his treatment of the muted trombones at 243-246, so pronounced under Horenstein, and then in the way the return of the "Lebwohl" motive is knitted into the structure rather than, as with Walter, made to drive it. Less nostalgia from Klemperer overall, I think this confirms. The clinching climax at 314-318 is built with an unerring structural control and power. Klemperer's legendary grasp of the architecture never more in evidence. At its pinnacle we hear truly awesome trombones ("Micht hochster Gewalt" - "With greatest force" indeed !) as black as doom and punctuated by fierce timpani cracks which lead splendidly into the "Like a funeral procession" section where again Klemperer's distinctive sound palette impresses where the music seems cloaked with slate greys and funeral purples. In overall terms Klemperer is almost as spacious as Horenstein and Walter in this movement. Yet deep beneath the Klemperer performance you are aware of a slightly more urgent tread than with Walter who tends to relax just that little more into charged nostalgia. Klemperer's scherzo matches Walter's as one of the finest on record with, if anything, an even greater sense of "digging in" right down to a foot stamp from the conductor in exactly the same place. For these men this music was clearly "bred in the bone". Klemperer's woodwind are more folksy and ethnic providing the poisoned thread that runs through it, accentuating bitterness, achieved as much by the magnificent players at Klemperer's disposal. The tempo changes are well handled too with Tempo III's slower landler especially unsettling and showing Klemperer exploring every nook and cranny with an eagle eye, culminating in as poisonous and deadly a close as you could want. Likewise the Rondo-Burlesque which, under Klemperer, is slower and more determined and gives the opportunity for every last detail to register. There's a price to be paid in that there's less the feeling of disintegration, of imminent collapse, that can sound so devastating in this movement under others. Hear Walter in his 1938 "live" concert recording from Vienna where he tears into the music in an almost unhinged frenzy. Klemperer, ever "Honest Otto", doesn't attempt to prettify the nostalgic interlude, the "Music From Far Away", of course. In fact he makes it knit better into what has just gone and what is to come by again marking the darker tones, playing it for nobility and febrile strength. No praise can be too high for his Principal Clarinet who, in the lead back to the main material, squeals like Till Eulenspiegel throttling on his gibbet. In the return of the main material Klemperer equals Horenstein in anger and bitterness, made more memorable by the control he exercises on the tempo. I described Klemperer's sound palette in the funeral procession episode of the first movement as "slate-grey" and that's the feeling I have with the last movement. In terms of emotional approach "stoic" is the word that springs to mind. In fact, anything but the self-indulgent approach some conductors give us here, pulling the music out, hamming it up like hack tragedians. It's a broad account but it's remarkable for its determination and dignity. The strings indulge in no sweet tricks and notice the way the bassoon climbs up the scale near the start to accentuate a "crustier" style than that of Walter, then how the solo horn's contribution is reined back almost as if to let him have his head would show Klemperer allowing emotion to get the better of him. Then in the interlude between the two great statements of the main material notice again Klemperer exploring nooks and crannies, searching out sounds and combinations of sounds that elude many others - high strings against low strings especially helped by the rich but clear recording. So Klemperer was never the man to wear his heart on his sleeve and if we are moved by the return of the main material at bar 49 it's for what can only be described as an unwillingness to give in - the admiration we have for those who endure pain, perhaps. The final climax emerges clean and triumphant and note how the trombones dominate the texture recalling, for me, their appearance at the climax of the first movement where they were death in musical form. Is Klemperer here musically paraphrasing "O death, where is thy sting ? O grave, where is thy victory" ? I think he is. And he withdraws us from the world in the closing pages unforgettably, exploring the music rather than seeking to put us to sleep with it. As with Walter and Horenstein before him, it remains part of what has gone before. In 1963 Sir John Barbirolli made an appearance in Berlin with the Philharmonic that has gone into legend. He conducted them in Mahler's Ninth and virtually re-introduced a composer who was not greatly liked by the city or the orchestra. They immediately asked if they could record the work with him and, even though under contract to Deutsche Grammophon, were released to EMI for sessions in January 1964 (72435679252). I've always felt Sir John's conception of the first movement, in tempo terms at least, well-nigh definitive. There is yearning in the opening and yet all is carried along in an Andante Comodo that emerges at the real "walking pace" Mahler surely meant. Note the unfashionable portamenti in the strings too. Not too much, but enough for this surely to have been what reminded many there of Furtwangler. ("Not since Furtwangler have we heard such human warmth and soul combined with such superb musicianship," one critic wrote.) At once Barbirolli is more passionate than his colleagues, more involved personally, yet tempers this with clarity of focus that's a living example of a quotation of Bertrand Russell that Michael Kennedy found in Sir John's papers after his death: "Nothing great is achieved without passion, but underneath the passion there should always be that large impersonal survey which sets limits to actions that our passions inspire." Passion with limits is what you get here, no more so than in the long and varied Development which is remarkable here in how naturally expressive and dramatic it sounds even at a tempo that seems quicker than many. The "collapse climax" at 201-203, for example, arrives with fierce inevitability and then the "Leidenschaftlich" ("Passionate") passage that follows really is just that, with superb balancing of the magnificent Berlin strings. Note also the really depressed, tired, deadened quality to the remarkable passage that follows soon after where the muted trombones usher in a return of the "Lebwohl" motive prior to the final, clinching climax which is driven home by the blackest of trombones, roaring out the fatal arrhythmia with no holds barred. ("With the greatest violence" is Mahler's marking here, after all.) As if all this wasn't enough, listen to how Barbirolli conducts the passage following it marked "Like a solemn funeral procession", holding back his tempo for each step to make its effect. Finally, in a crucial passage in the Recapitulation, where flute and horn form unlikely alliance, Barbirolli recalls for me some of the innocence of the First Symphony, a touch I have never heard under other conductors and this could not be more appropriate as Mahler sprinkled his sketches with references to vanished days and scattered loves. Nostalgia, farewell, memories.... Barbirolli was fifty-six before he touched a Mahler symphony. An example to the young blades who seem to want to record an entire cycle before they are thirty. I maintain only a passionate man who has seen life could conduct the Ninth like Barbirolli does and that the first movement in his recording is so great because it seems utterly complete, a cross section of everything the music contains. Others may scale heights and depths with more reach but no one, I believe, holds everything in such near-perfect balance. The second movement is as trenchant and awkward as you could want. There is good forward movement allied to great playing and notice with what relish Barbirolli swings into the Tempo II waltz. He was a great Viennese waltz conductor, after all. His Lehar "Gold and Silver" changed lives. When the Landler material gains the ascendancy later on you also cannot miss the real swagger in the playing. Yet again I'm reminded how much the conductors of Barbirolli's generation had to tell us about music which, under some of today's maestri, can sound colourless by comparison. Perhaps only Walter "live" in 1938 gets to the black heart of the Rondo-Burlesque but Barbirolli is closer than most to the unhinged frenzy we hear there. We are certainly light years away from the passion and nostalgia of the first movement in the main material. Under Barbirolli this third movement is full of pain and sharpness, abrasive, with again superb string playing from this great orchestra. True to his concern for "that impersonal survey" Barbirolli doesn't "give in" to the "Music from far away" interlude at the heart. In fact there's even a bright-eyed, optimistic quality to it that is most impressive. Then, as you listen further, deeper and more often you realise a world of great feeling in the string phrasing which only he could bring. When the main material finally bursts back in Barbirolli then shows that it's been changed by what we have just heard. Almost as if the music now is commenting upon itself. It seems to go for broke, accentuating the Burlesque quality at last. At the sessions Barbirolli insisted on recording the last movement first so "they would know what they were aiming at ." It was also recorded at night because "such music should not be played in the daylight". If Sir John had been holding back some emotion until now, in the fourth movement he lets it all come out at last. But such is his instinct that even here it never gets the better of him, which under a lesser experienced hand it might have done. There's a rare nobility in the first presentation of the great adagio theme and listen to how the strings dig into their bows, and their traditions. The passage beginning at bar 49, in effect the second presentation of the main adagio material, ushers in a long passage which under Barbirolli is of such overwhelming intensity that, even after over thirty years of living with this great recording, it always leaves me shattered. The final climax to the movement and entire work has an almost desperate, questing quality to it and it only remains to say the coda, that long dying away, contains phrasing by Barbirolli that will linger in your mind for hours afterwards. Others play the closing pages slower. Others stretch them on the rack with varying success. Barbirolli chooses, like Walter before him, to let his eloquence of phrasing carry the day. And it does, as it has from the first bar of the whole work which is all recorded here with a natural conductor's balance ideal for home listening. In a review in "Gramophone" in 1970, the great Mahlerian Deryck Cooke declared he had just heard the greatest Mahler Ninth on record. He was reviewing the, then new, recording by Bernard Haitink and the Amsterdam Concertgebouw Orchestra on Philips. I well remember that review and the influence it had on me as a young Mahler enthusiast finding his way through the record catalogues and the anticipation I felt after I had persuaded my local library to buy a copy. 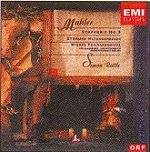 Cooke concluded his review by saying that in the Haitink recording he felt he wasn't faced with Barbirolli's, Walter's or Klemperer's Mahler Ninth, but with MAHLER'S Mahler Ninth, which is perhaps the highest praise any critic can give. There is no question in my mind that, after all these years, this still is one of the greatest recordings of the work and that it should be considered alongside those dealt with so far. It's available on Philips (4622992) coupled with Haitink's fine version of Das Lied Von Der Erde with Janet Baker and James King. Haitink takes great care with the opening material, a particular care with the rhythms of the motivic fragments especially, and one of the finest of all ears to the balancing of the various parts. This is all helped by a superb analogue recording, very much the kind of sound coming from the Concertgebouw in those days with less hall acoustic allowed for than we have become used to recently. All this means that, among other things, Mahler's screaming upper line is superbly apparent at every climax, all of which arrive with splendid dynamic surges. Time after time Haitink is in Barbirolli's class at the balancing of the various elements in this movement. Characteristically, though, he is less passionate but makes up for this in attention to the subtle shades of debate that characterise this movement. There is no part of this immense statement of Mahler's state of mind at that time when Haitink doesn't have something important to say. Take, for example, the "Leidenschaftlich" passage following the "collapse climax" at 201-203 where there is an almost Klemperer-like trenchancy in the music. Following this passage the wisps of theme that play around the muted trombones prior to the "Lebwohl" lead-back sound especially desolate and remote, giving lie to thoughts you occasionally encounter that Haitink is too safe a conductor in Mahler. At the main climactic passage listen to the wonderful Concertgebouw strings tumbling all over the music, pitching us into a superbly dramatic resolution, as fine as Barbirolli's, Horenstein's or Klemperer's. I must also pay tribute to the deepest of bells Haitink's percussionist makes use of here. I assure you, once you hear these in this recording you never want to hear any other kind. The coda of the movement finds Haitink in a surprisingly dreamy mood with Mahler's unique orchestration coming to us as though through the very veil of memory itself. A very interesting presentation indeed with the horns especially evocative. The second movement Landler find the massed strings all country dance and rough-hewn with those crucial tempo changes marked. Notice also how the woodwind seem to be really mocking us in a way few recordings manage and one of the characteristic sounds you will take away. This is so much the cruel parody of the Landler I think Mahler wanted and which so many just miss. In many ways I find Haitink to be giving the same kind of performance of this movement as that we will hear from Michael Gielen later: cutting and deeply rebarbative. The crucial difference is that Haitink injects that little bit more humanity into it; that little bit more sense of humour you feel Gielen misses. Haitink certainly has the finer orchestra and it should go without saying that hearing one of the greatest Mahler ensembles playing this music at the height of their powers is an experience in itself. The coda is masterly - ironic, poisonous, unsettling and it sets us up for the Rondo Burlesque splendidly. Here too Haitink is in the same neck of the woods as Gielen but, again, with that little bit more humanity. Again the orchestra's contribution cannot be praised too highly and this allows us to hear echoes from Das Lied Von Der Erde in the maelstrom. By some wonderful alchemy Haitink also manages to achieve what few others do and that is a delivery of the central interlude that seems to fit perfectly. It's neither too fast in that it loses its power to move us, nor too slow that it impedes the structural integrity of the whole. Following this the anarchic frenzy of the Rondo's return concludes this movement unforgettably. Haitink crowns his recording with a performance of the last movement of rich eloquence, more than worthy to stand beside Klemperer, Barbirolli and Walter. Like them, he succeeds in spite of never having to pull the music around, letting it speak for itself and relying on the great playing of his orchestra, not least in the second presentation of the main material (bars 49-107), which has a superb cohesion that is like a microcosm of the whole movement. Notice especially at the start of this passage how Haitink keeps the principal horn under strict control where many will give the player his head. It's an example of Haitink's care and means that when more heft is needed, as at the movements great horn-led peroration at the main climax, the sheer power of the moment lands even more weightily on us. A case of keeping your powder dry until you need it. Examples of which can be found right the way through this recording. In the closing pages the sense of desolation is remarkable but the thread is maintained, even though Mahler's slower and slower markings tell. It would be possible to end my survey here as I believe the five recordings dealt with so far are the best before us. Choose any one, or two, or all five, and you will have Mahler's Ninth in your collection in performance(s) that will last a lifetime. Each one has a different perspective but each has a perspective that is equally valid in such a protean work. Only the Horenstein on Vox falls down in terms of recording and playing but I bring special pleading forward for that and will have something to add at the end about a conductor whose work in Mahler I rate higher than most. But there are many other recordings available and I would be doing too many people a disservice if I didn't deal with some that come close to the first five in their representation of this great work. You will undoubtedly come across them if you are out considering which recording to buy. As I have said, the Ninth has been very lucky on record. I can think of just one recording I have ever heard that I would actively counsel anyone against buying. But I do believe all others must stand or fall by how they measure up to the achievements of the five above. With that flag nailed to the mast, I shall continue. In terms of tempo and pacing Pierre Boulez with the Chicago Symphony Orchestra on Deutsche Grammophon (289 457 581-2) is exemplary in his overview of the first movement. He's in the lower limits of Andante Comodo but avoids losing the sense of unfolding story while permitting himself to attend to details of tempo, dynamics and expression admirably. This latter point may strike detractors of Boulez as surprising. It's not the expression of a conductor whose agenda is to place himself between us and the music, but one anxious to do the composer justice by stressing the expressive qualities already there. What he brings to this movement is the eye of the lawyer matched to the mind of the alchemist. Though it has to be said his timing for this movement sets a conundrum he just fails to solve later on in the work. In the opening pages I was struck by the clarity in the initial statements of the movement's "building bricks", doubly remarkable for the extremes of pianissimo he coaxes from the orchestra. Few bands could manage to be so clear yet so quiet. Clarity is often used pejoratively when discussing Boulez and Mahler but I see no conflict between clarity and expression. Boulez understands that for this vast structure to survive in our minds and mean something the key is for us to be made aware of the different possibilities that exist within its span and the way to do that is to establish the profound differences between the basic ideas on which the movement is founded as it's only as these are changed by Mahler, in ways vast and extraordinary, that those possibilities are made plain. Without profound knowledge of where these ideas came from and how they started life can we appreciate the changes they go through. Of these ideas, all first presented in the first few bars prefiguring the concision of Webern, (and remember Boulez is on record that his approach to Mahler came via the Second Viennese School), it's the "Lebwohl" theme that Boulez stresses, throwing a shadow over the whole each time it recurs. I'm in no doubt that, like Bruno Walter, it is "leave-taking" Boulez wants to stress. In the Exposition as a whole our awareness of the differences between the main ideas then becomes consanguineous with the careful marking of the subtle tempo changes, the ebb and flow passage to passage, as the music's vistas open out. Note the strict observation at bars 80-107 of Mahler's "Etwas frischer" ("A little brisker"), hurrying into the development as if Mahler is anxious to get on with the main business. Only by carefully preparing the ground beforehand do such changes register. It's a perfect example not just of Boulez's attention to the detail of the score but also the important next stage of what these details mean and how they fit with the whole. Another example can be found in the Development at 267 where we really are aware of the tempo picking up as indicated. Note also the fine contributions from the woodwind here. Finally at the crucial fatal climax (bars 314-315), where the trombones roar out the opening notes of the whole work taking us to the very depths of this movement's world of feeling and knitting the movement together in its simplest deep structures, I had never been quite so aware before of the difference in dynamics between the two statements by the trombones. So, a remarkable reading of the first movement. In my opinion one of the finest ever recorded. The same care for the letter and its bearing on the spirit of the score is to be found in Boulez's reading of the second movement. At the start I was a little disappointed Boulez doesn't get his strings to really dig into the landler. It sounds tame in comparison with old hands like Walter, Klemperer and Horenstein. But it turns out Boulez has a different agenda. He seems concerned with the contrasts between the three tempi markings which he observes particularly so you're left in no doubt when each one comes back. This becomes more absorbing when each episode starts to "swap" tempos around like old friends trying on each other's clothes. It's an unsettling ride and deserves to be heard as a real alternative. I started to have more doubts when the Rondo Burlesque began. Mahler writes "Very stubborn" and under Boulez it isn't really. A slightly slower tempo would have made a difference and a little more mania from the woodwinds also. We need more Burlesque to the Rondo. The arrival of the visionary interlude in the centre is a defining moment because Boulez appears to opt to maintain the structure by taking this passage at a tempo I think robs it of much of its beauty and nostalgic power. This clear-headedness serves as a warning for what is to come in the last movement. When dealing with the first movement I said Boulez's reading, though near ideal, sets a conundrum he fails to solve later. It's his performance of the last movement I have in mind. The Ninth Symphony is "top heavy". The scope and length of the first movement is such that, for the whole work to achieve balance, the last movement ought to appear to match it in weight and length. (The Tenth Symphony is a much better structured work in this instance.) If it doesn't, as here, the effect is to unbalance the work in favour of the first movement, not allowing the Adagio to crown the work and let it stay in our minds. There's a fastidiousness about Boulez's handling of the last movement, almost as if he doesn't want us to be too involved and the overall tempo is just too fast for it to really move us. It's slower than Walter in 1938, but that "live" performance is balanced by a quicker first movement as well as a different performing tradition. Barbirolli is at the faster end of Adagio also but his first movement is more "walking pace" too so he solves the "top heavy" problem. It's surprising that, so aware of such things elsewhere, he seems to fail to appreciate this. For that reason I can only believe this is not oversight but a deliberate attempt to achieve emotional distance. Don't misunderstand me, though. The last movement is a fine reading in many ways but fails to compliment the first movement in the way many other interpreters do. The closing pages, for example, fail to leave you lost. A disappointment in a recording I do still recommend, especially to someone coming new to the work and wanting a superbly played and recorded performance with every detail of this massive score laid out. The playing of the Chicago Symphony is exemplary, not a note out of place, not an entry fluffed, secure, commanding, though not in the last analysis a Mahler sound. It sounds like damning such fabulous playing with faint praise but I prefer something a little more humane and fallible. The famous brass sound, whilst still very lean and powerful, is reined back more these days and only the trumpets full out have that cold, glassy tone alien in Mahler. The strings deliver nowhere near the portamenti Mahler frequently asks for either. When they do it's almost with a sense of apology. What the Chicago strings can do, however, is differentiate the gradations of dynamics with more accuracy than most. An ideal (almost Utopian) concert hall balance which is a touch artificial but with every detail registering equally. I grieve for that last movement. But for that, this Boulez recording might have made it into my hall of fame. With Benjamin Zander and the Philharmonia on Telarc (3CD-80527) for the cost of one full-priced CD you get two containing the "live" performance and a third containing a fascinating seventy-six minute illustrated talk by Zander himself entitled "Conducting and Listening to Mahler's Ninth Symphony". Along with a long liner essay there's a single sheet containing a reproduction of the first two pages of the score, complete with the conductor's notations so you can follow the major part of his talk on how to conduct the piece, a plan of the orchestra, two "beat charts", engravings of Mahler conducting and a note from a small girl thanking Zander for his performances. As well as a conductor, Benjamin Zander is also a teacher. His work with the Boston Philharmonic gives evidence of his virtues in this role. He is also in demand in another direction, called in by organisations to put lead into corporate pencils, never failing to use music and experiences performing it as part of his creed. So, perhaps, it's the teacher in Zander that led to the unusual presentation. In his essay Zander sees the first movement representing a dichotomy at the heart of the symphony. "There seems to be two kinds of music....gentle, harmonious, sublimely beautiful, and resolved; and music that is complex, dissonant, full of tension, and unresolved. And the structure of the movement seems to set these two kinds of music against each other." For Zander this dichotomy represents the duality in Mahler and the time in which he lived, looking back to the romantic, unified past and forward to the dissonant, fragmented future. There is much to be gained from seeing the work in these terms and Zander certainly manages to illustrate the two poles of this dichotomy in his performance of the first movement very well. But there are other performances which do it as well and which also recognise that any dichotomy is the sum of its poles and also the area between them and I don't feel Zander attends to the latter to such an extent as he could. The quieter passages between the more animated ones are interpreted extremely slowly and withdrawn to the extent that I think they're in danger of becoming detached from the whole, with less definition or focus, holding up the momentum and any feeling of "line" that is so remarkable with Barbirolli and Haitink, to name two. The impression is of "marking time" between crises. It's marginal, but enough to bother me rather. When it comes to the Scherzo Zander again appears in his material to understand perfectly what Mahler is aiming for but seems he either misunderstands what he means the conductor should do with this or finds such a step beyond him. Referring to Mahler's use of his favourite landler, Zander writes: "This dance is a grim parody of the dance. Mahler's indication at the beginning of the movement, "Etwas tappisch und sehr derb" (somewhat clumsy and very rough), shows that the true Landler is here stiffened and chained, deprived of its characteristic lilt - a counterpart of the first movement's dissonance and rhythmic complexity." That the Landler is changed here, there's absolutely no doubt so Zander is spot-on in his talk. But I don't feel the change effected is either what Zander says it is or quite what he delivers. I think what Mahler is doing was well described by Neville Cardus when he said that the Landler is "ravished and made with child" or by Leonard Bernstein who wrote of a "bitter re-imaging of simplicity, naiveté, the earth-pleasures we recall from adolescence." With Zander what we get is a little too precise and contained with little of the "clumsiness" and "roughness" Mahler asks for or the parody Zander himself seems to want. Never mind Bernstein's "re-imaging" or Cardus's "ravishing". For Zander the most remarkable aspect of the Rondo Burlesque is its contrapuntal mastery and he's dead right to draw attention to this. But when he writes "at first it may sound utterly chaotic, but gradually we realise that it is a tour de force of controlled contrapuntal writing" I disagree and believe he may be elevating this aspect above others with the result that too much control is exercised where more abandon is what is demanded. If anything, any sense of chaos at the beginning should be added to until the whole movement is in danger of breaking up. But he certainly does achieve what he sets out in his essay. His need for control also seems behind the fact that he is marginally too slow, but that isn't the whole story. Klemperer is even slower and yet conveys a world of impending chaos. Bernstein knew what this music meant: "....a farewell to the world of action, the urban, the cosmopolitan life - the cocktail party, the marketplace, the raucous careers and careenings of success, of loud, hollow laughter." I would only add it's also the music of a world about to go smash. Listen to the Walter recording with the Vienna Philharmonic of 1938 (playing when the world was on the verge of going smash for a second time) and the manic, unhinged frenzy with which they tear into this movement not letting up until the end and making the blissful interlude in the centre even more moving. Zander almost spoils this latter passage a little for me by going too fast and then, almost as if he has realised what he has done, slowing up. The last movement from Zander balances the long first movement very well, something that isn't always the case when the symphony's "top-heaviness" can be accentuated. So I applaud Zander for maintaining structural integrity throughout. His and his players' powers of concentration are very much one of the plusses one takes away from this account also. But when Zander writes of the last movement: "....the textures are rich and full, the counterpoint astonishingly opulent" it's a pity to find the strings slightly spare in volume, though this could well be a fault of the recording and hall balance of which more in a moment. I'm also a bit worried by Zander encouraging the same emphatic lunges in the strings that, for me, disfigure the first movement a little and which I think have the effect of dissipating any opulence rather than aiding it, even though it does have the effect of linking the first and last movements in our minds very well. On this evidence, the Philharmonia cannot match the "saturation-quality" or nostalgic yearning of their counterparts in the old Vienna Philharmonic, even in a 1938 recording. Whether it's the gut strings, the old-world style of playing, or a trick of the sound balance, the sound of the old VPO riding every climax shows again what is missing in Zander's account of the same passages. Zander also writes: "....there are moments of extreme withdrawal - those bleak, passionless passages that Mahler marks to be played 'ohne Ausdruck' (without expression) and that are often scored for just a handful of instruments." Zander courageously takes Mahler at his word here and I admire him for that. The effect, as in the first movement, is to accentuate the divide between louder, animated passages and those of "extreme withdrawal" which are again so withdrawn they're almost in danger of detaching themselves. I just wonder if Zander is being too literal in interpreting what Mahler is asking. That when Mahler writes "without expression" he's writing in terms of what expression meant for him rather than what it means for us and an adjustment is needed. I find it hard to believe Mahler meant the closing pages to come over quite as remote as they do here to the extent that the thread becomes almost indistinct. Zander writes of the ending: "It has none of the nihilism and cold sense of futility which is found in so much contemporary art. On the contrary, there is a deep attachment to joy. Despair and knowledge of suffering are turned into a discovering of the meaning of life." Indeed they are. So I'm puzzled rather than it seems played as though the opposite were the case. Horenstein stretches the music on the rack here, especially in his "live" 1966 recording with the London Symphony Orchestra. So does Bernstein with the Berlin Philharmonic also recorded "live". Though neither to quite the same extent as Zander. This becomes a major problem for me in these closing pages under Zander because they remind me more of the closing movement of Vaughan Williams's Sixth Symphony where a completely different effect is aimed at. Or maybe that's what Zander is aiming at. If so, another layer of the interpretative tradition has been added. In spite of my own preferences, it's good to be able to include a performance that tests Mahler's markings here to the limit. In all, Zander's recording is a relative disappointment, especially in comparison with other recordings of this work and with his own excellent recording of the Sixth. The sound is problematic too. It seems oddly detached at times and is recorded at a lower level so needs to be played back high. Zander makes great play of dividing his first and second violins, as Mahler did, and is to be congratulated for that, as are the engineers for letting us hear the divide. But the strings sound a bit under-powered, though this may be the fault of the balance. In spite of my reservations, you will gather that, by including this recording here over some others, I rate it all the same. In spite of everything it has too many interesting points of discussion for it to be left out. Next, two recordings I want to draw to your attention which you might easily miss. They are by Karel Ancerl and the Czech Philharmonic Orchestra on Supraphon (SU 1954-2) and Michael Gielen and the South-West German Radio Symphony Orchestra on Intercord (860.913). Both offer what might best be described as a more "scrubbed" approach to the work with tempi quicker, edges sharper, lights and shades less marked, the kind of approach you might have expected from Boulez in looking more to the century that was to come rather than the one just gone, or the conflation of the two Benjamin Zander rightly told us to expect in this work. I admire both deeply and suggest them as alternatives to main recommendations. The first movement under Karel Ancerl has more forward momentum and the first full climax emerges with more "head up" optimism than we are used to. Right the way through notice the sharp, clear textures the Czech Philharmonic bring to every aspect of Ancerl's conception which is bracing in parts. The death knoll climax to the movement arrives at the end of an almost hedonistic rush and so is more shocking than we are often used to. I found it memorable, as I did too the splendid crack of the timps and the carefully and correctly graded dynamics of the trombone enunciation. I think Ancerl then surpasses even Barbirolli in his treatment of the tread of the funeral procession passage coming after it and the sound of the exultant Prague trumpets in the Recapitulation will stay in your mind for some time. The Scherzo is fast but it's a tempo that carries well after Ancerl's first movement. I was especially fascinated by his treatment of the Tempo III material: the "sad landler", I suppose you could call it. Ancerl really does take this quite slowly which, in context with the speed of Tempo I, makes an unusual effect, like an island of calm which makes the resumption of the quicker material seem like the return of a bad dream. The Czech Philharmonic play magnificently here and throughout. Some might be troubled by the vibrato on the solo horn but this comes with the territory and you adjust. In the Rondo Burlesque emphasis is on Burlesque with the strings chattering as the fine balance of the analogue recording catches every detail of the woodwind choir. After the nostalgic interlude, where the principal trumpet's vibrato is most welcome, Ancerl really blows the world to bits in the main material's resumption. After this the opening of the last movement is sustained and surprisingly intense, real balm for aches. There is dignity and real nobility and a feeling of terraced grandeur as Ancerl builds to each climax with a sure hand. Investigate this cheaply priced single disc version. Michael Gielen is always an interesting Mahler conductor and his recording of the Ninth doesn't disappoint. Here at last we are face-to-face with "Mahler The Modernist", the man held in high esteem by Schoenberg and his circle whilst alive, and by Shostakovich and Britten to name but two in the generation after his death. This seems a more than appropriate way of treating Mahler's late style and I believe demands its place in any profile of recordings. Right from the start, with the superb rasp of the solo horn, you're in a different world of sound: exposed, edgy, harder, prone to accentuate uglier aspects of the music. At the start of the development that poisonous rasp of the solo horn is accompanied by a really emphatic statement on the timpani of the arrhythmic theme that could have come out of Alban Berg. Gielen is cool and austere, even - sometimes especially - in passages where the natural pull is towards warmth and charm, so don't expect the usual nostalgia trip here. This is an immersion in cold water fascinating to hear, provoking and absorbing. The Scherzo is still full of sharp character showing that the astringent approach doesn't need to be anonymous. In fact, there's a feel of Klemperer here with woodwinds a special joy when given their head within such tight overall structure, sneering and snivelling in what is one of the most remarkable accounts of this movement proving that Klemperer was as aware as Gielen of the more astringent aspects. The Rondo Burlesque is also all sharp-edged tension with especially raucous brass: a real dash to destruction which approaches Bruno Walter's "live" 1938 recording. The interlude at the heart is a tiny piece of cold comfort which gets swept away very a powerful restatement. And how does Gielen approach the great last movement ? The answer is with a simplicity, a purity, and with no quarter given to overt emotion or thoughts of consolation. Many people will find it all too detached but it suits the way he approaches the rest of the work and, in its own way, communicates a stark humanity. I can imagine the kind of Mahlerite who will loathe Gielen's recording, or any other that treats Mahler's late masterpiece in any other way but as a Late Romantic "cry-fest". The sort of Mahlerite you come across from time to time who sees the music as their personal therapy room or counselling service: "Dr. Mahler will see you now. Lie on the couch". The opportunity for a primal scream or two, or a musical dose of Prozac. They are the kind who assure you Mahler's music is about emotional excess and that any performance that isn't itself excessively performed emotionally is not to be countenanced as it's in some way selling it all short. I believe neither to be the case and that this becomes even more relevant the later on in the canon you go. However, there are those who will always want to gouge their pound of blood, sweat and tear-stained flesh from the Ninth, as they would with any other Mahler symphony, and there are recordings by conductors only too willing to oblige. Klaus Tennstedt and Wyn Morris are two, but I would point to Simon Rattle or Leonard Bernstein first for this kind of approach. Bernstein recorded the work twice for commercial release but it's a "live" recording, one never meant for release, that I'm going to recommend as I think his way with this symphony, the alter ego of that by Gielen, communicates better as a "one off" piece of concert hall theatre. (I know his second recording with the Amsterdam Concertgebouw is flagged "live" but it was patched with takes from rehearsals so doesn't really qualify.) In 1979 Bernstein made his only appearance with the Berlin Philharmonic with the Ninth the chosen work. Years later Deutsche Grammophon obtained the tape from Berlin Radio and released it DG 435 387 2. Right through the first movement notice how he cajoles and caresses even the smallest details, how he inflates climaxes to huge dimensions, how he withdraws into a private world with every hushed passage. The main, death-crowned, climax is towering and, for me, almost grotesque in its breadth and volume - monstrous in many ways. The Recapitulation steals in eloquently after this and speeds up to an extraordinary degree. This is one of those "Lennies" you sometimes come across in Bernstein's performances which can sometimes shine a light into a part of a score that illuminates new ideas or, as is the case here, succeed only in obfuscating proceedings and leaving you puzzled as to why he did it. The second movement is vigorous in the Tempi I material which means that when the Tempo II material arrives it actually seems slower, which is the wrong way around completely. There are so many other performances of this movement that convince far better and I cannot find much, apart from some real character in the woodwind and brass, to tell me he has anything new to offer. By the way, there's also a missing trumpet figure at bar 440. A noticeable absence but nothing compared to what will happen later in the fourth movement. There is then a really characteristic agogic touch at the start of the Rondo Burlesque and as the movement gets under way it's clear Bernstein's main weapon is speed. It's certainly effective and were it not for the fact that the Berlin Philharmonic negotiate everything Bernstein throws at them superbly, the movement might be in danger of skating over the surface. He does rather beat his breast again in the blissful interlude where something more delicate is, I believe, needed but there will be many who, as I said before, will regard this as quintessential Mahler playing. For me it's a perfect example of what can go wrong with this passage. Played at this tempo with this amount of "heart-on-sleeve" against such a fast presentation of the main material and any idea of the movement as a structure is lost. There are those who tell me this is a perfect demonstration of what Mahler is trying to tell us is going on. I would disagree and say this movement demands to be the sum of its parts rather than the parts only. However, even I'm lost in admiration at Bernstein's delivery of the final return of the main material. The fast tempo works this time and is an illustration of Bernstein's own thoughts about this movement when he once wrote: "....a farewell to the world of action, the urban, the cosmopolitan life - the cocktail party, the marketplace, the raucous careers and careenings of success, of loud, hollow laughter." Bernstein conducts a superb fourth movement. A red-hot, searing delivery of this wonderful music, fully in keeping with what has gone. The Berliners play with mind-numbing power, strings especially encouraged to greater and greater levels of emotion by Bernstein grunting and humming occasionally: Mahler with all the stops pulled out. At the assault of the final climax it sounds as though Bernstein has fallen off the podium but even this could not explain what happens between bars 118 and 122. Here, at the climax of the whole work, where maximum power is needed from everyone, the trombones simply stop playing. The whole trombone section should play right through that passage, underpinning everything, but they are nowhere to be heard. Down the years dark rumours have circulated about why one entire section of four players should all miss such an important cue and remain silent, but there has never been an explanation forthcoming. (They do rejoin proceedings right on cue next time they are needed, though.) Just one of those things that makes this recording memorable, I suppose. In the closing pages we are back to Bernstein caressing and cajoling again and, it has to be said, no one does it better. The fact that he can extract such depth of feeling in passages of eventually such spare scoring is a testament to the man's genius. He certainly takes Mahler at his word in the score and stretches out the ending as far as it will go but never loses the thread or fails to convey the moving quality of what we are hearing. If you like your Mahler like this you must have this recording. If you like your Bernstein "loud and proud", the same applies. If, like me, you are also a fan of concert hall events, buy with confidence also. Simon Rattle's version on EMI (5 56580 2) also records "live" a first appearance with one of the great European orchestras, in this case the Vienna Philharmonic. It shares the same thought world and general approach as the Bernstein but doesn't, I think, quite convince in its own way. Another problem I have is the wide dynamic range of the recording. In order to hear the softest sections you have to endure the loud ones at a volume setting that could loosen the slates on your roof. This is especially grotesque at the climax to the first movement where the great statement by the trombones of the arrhythmic motive that so haunts this movement comes over like the fog horn of an ocean-going liner. It first caused this Mahlerite to burst out laughing, which is hardly what I expect at that moment. I wish Rattle had recorded this work with the City of Birmingham Symphony Orchestra on home ground. They would not have played as well as the Vienna Philharmonic, but they would have been much more appropriately responsive to Rattle's vision of the work as I know from hearing "live" broadcasts. Earlier I mentioned one recording I would actively counsel against buying and I feel duty-bound to mention it lest someone who didn't know the work acquired it and came to believe this is how the work ought to be played. It's the recording by Hermann Scherchen with the Vienna Symphony Orchestra on Orfeo (C 228 901 B). Scherchen was one of the most infuriating conductors of Mahler. He could be prone to acts of amazing eccentricity which could be brilliantly illuminating (as in the Seventh Symphony), never dull, always provoking. However, the price for this is that the opposite is also the case. No more so than in the Ninth where his tempi are fast right the way through and his general treatment of the music so apparently perfunctory I'm tempted to wonder whether something had upset him prior to the sessions. Either that or he just didn't think much of the symphony. I'm sorry to be so negative, but I feel it important to issue the warning that if you ever see this as you are flicking through the racks in a shop, carry on flicking. Scherchen enthusiasts will, of course, already have it. On the other hand, I must include a plea for one "live" recording to be given wider circulation. This is by Georg Szell and the Cleveland Orchestra, recorded in Cleveland in 1969. This is an intense and dramatic performance that can be found in a large Cleveland Orchestra commemorative box and so is very expensive to acquire. I believe it deserves to be released separately and hope Sony can see their way to doing so. It has been available on a hard-to-find Stradivari issue (STR 10012) but in inferior sound recorded "off-air" by what sounds like one microphone positioned in front of a radio. The official master tape in the Cleveland box reveals it to be of splendid quality to suit the orchestra's performance. Anyone interested in the history of this work should also have the "live" 1938 recording by the Vienna Philharmonic conducted by Bruno Walter. I have mentioned this many times in passing but now is the moment to go into detail. The performance is unique, unforgettable and charged with a very special quality. Tempo-wise the first movement seems near ideal with a singing line, as though it's taken in one breath. The strings of the old pre-war Vienna Philharmonic ache with potent nostalgia and seem to have the flexibility of the human voice as Walter moulds them. The second movement is a true rustic Landler, harsh and stomping, "cheap". Hear the bows dig into the strings like village fiddlers at some Upper Austrian hop. It isn't rushed, as it so often is, either. When we reach the Rondo Burlesque the strain's beginning to tell. The orchestra, who can't have played this all that often, hang on for dear life but this only adds to the tension. Are they going to make it ? Yes, but it's a close-run thing and perhaps you wouldn't want to hear this too often. The last movement is a bit of a disappointment. It is the quickest you'll hear in overall tempo. The coda especially seems to flash by when held against Bernstein, Haitink, Horenstein. It isn't disastrous, though. It seems to work in the context of the rest and the strings are just as glorious here as they were at the start. I have often wondered whether Walter sensed the audience were maybe losing concentration and hurried a little more than he might have done. Over and above the details of playing and interpretation this is a document of a unique occasion. Eight weeks afterwards Austria became part of the Hitler's Third Reich. Remember this when you sense the presence of the audience. Walter fled westward and many of the players would not be in their places when the orchestra resumed after the war. There is a moment in the first movement (27 bars from the end) when the whole orchestra is silent but for the solo flute descending and you can nearly touch the atmosphere in the hall. In sum, the whole recording couldn't be a reference version as the fluffs and imprecision can irritate and the recorded sound has limitations, but place it against some of the "squeaky clean" digital studio versions and it demands its place. You also soon forget the moments of imbalance in the sound level too. This was a "live" recording achieved by having two cutting styli run in relay with a member of the orchestra sitting next to the engineer with a score so the gain control could be taken up and down to guard against distortion. There are two versions available: EMI References (CDH 7 63029 2) and Dutton Laboratories (CDEA5005). Overall, I found that whereas with the EMI my "seat" is in the gallery somewhere near the back, the Dutton has me in the stalls nearer the front. By that I mean the Dutton is closer and more detailed, the EMI more distant and less well defined. In the Dutton the strands of the score are more apparent and instruments are plainer, especially solos. Telling examples are the rasp of horns and the flutter of flutes. In the EMI these were less obvious. It has to do with the fact that in Dutton higher frequencies appear enhanced and lower frequencies decreased with greater definition right across. This may have to do with the Cedar process used on the Dutton. So, where in EMI the timpani seemed to underpin, in the Dutton they are much more contained and come from one part of the sound picture. So the Dutton is the one to have, you might think ? Answering that is where it starts to get problematic. The gain in detail in the Dutton is welcome. One problem, though, is that you also get detail you don't want. The violins sound harsher in the Dutton and the lessening of the bass end makes them less resonant which is something I have always liked in the EMI. This lessening of resonance also marries to a lessening of reverberation. So, with the aural picture closer, the whole experience is less comfortable in Dutton. There is also more of the audience to be heard. They are not a bad audience but what few coughs there are come across with greater clarity (as does the foot stamp by Walter at the start of the scherzo and, what Dutton has now convinced me, a string breaking about three minutes into that same movement). If you have the EMI and are happy, my advice is to stay with it. If you do not have the EMI but want this important recording in one form or another, my advice is to sample both. In spite of the fact that the Dutton has all the virtues over the EMI I have outlined, I could easily imagine people preferring the EMI for its "easier on the ear" feel. Just two more recordings before I finish. Both are courtesy of the BBC, though in one case unofficially at the moment - a situation I hope will change in due course. In July 1982 Kurt Sanderling and the BBC Philharmonic recorded the Ninth for broadcast in the BBC's Manchester Studio. A few years later this was issued on a single disc in the now defunct BBC Radio Classics series. It only stayed in the catalogue a short time but long enough for those who managed to get a copy to have in their collection another great performance of this work. I'm making an exception in including a deleted recording because I believe it possible this will re-appear in the BBC's new Classics Collection bargain series where former Radio Classics material has found a new lease. It certainly should, as it would not only be the premier recommendation at bargain price but also one that can stand alongside the finest. Kurt Sanderling is a first-class Mahlerian, especially in last period work. I rated his Das Lied Von Der Erde as one of the best on the market and there are many who believe his version of the Deryck Cooke edition of the Tenth worthy of that accolade too. He has recorded the Ninth a second time, with the Philharmonia for Erato, but it is this BBC Philharmonic recording that is the one to have. Sanderling keeps up a determined tempo for the first movement with great "line" and humanity. He even suggests this entire movement is like an immense, quasi-funeral march. He is also more than willing to contrast those passages of exhilaration and optimism with those that depict catastrophe and despair so that the latter become even more moving in context and present a rounded-out world of feeling. The whole "collapse climax" passage (148-210) is delivered with fearsome inevitability and notice in the subsequent "Leidenschaftlich" passage how good Sanderling is at the "dirty" end of the music, lower woodwinds poking out of the texture. The main climax itself, crowned with the "death rhythm" on trombones, is truly overwhelming. There is one great smash of the tam-tam that chills the blood, as also do the trumpets in the "funeral procession" that follows. There is a hedonistic feel to parts of the Recapitulation next, reminding us again how good Sanderling is at taking in all the mood changes of this work. So much so that I think he equals Barbirolli in his reading of this movement. In the Scherzo there is a lovely "swing" to the main Landler and he is aided by superb playing from the BBC Philharmonic. As the movement develops, his judgement of the three different tempi are masterful and one feels they really grow one out of the other, like skins being shed. The close of the second movement is as poisonous and futile as any of the top five I have reviewed. At the start of the Rondo-Burlesque, note the splendidly ugly trumpet, really snarling us underway and Sanderling is brilliant with the chattering woodwinds that ensue: gossips in the coffee houses of old Vienna, or the detractors backstage at the Opera house ? No praise again is high enough for the orchestra who can stand comparison with the very best, at times approaching the old Vienna Philharmonic in unhinged abandon. In the heavenly interlude I couldn't help but notice an edge of sarcasm from the solo trumpet every now and then, almost as though it's trying to tell us even this consolation is illusory, as we will soon find out. Then the high clarinet does scream us back into the real world like a bad practical joke and the closing pages have a mesmerising, out-of-control quality: a fairground ride running too fast with the trumpets' rasps incredible at full stretch. Finally Sanderling proves once again, if proof were needed, that an essentially unadorned performance of the last movement can move us just as much as those that drag the piece out on the rack. You will gather I regard this recording highly. Indeed, were it easily available, I might have included it among my top recommendations making six instead of five "for the ages". As it is, I look forward to its reappearance and advise you to snap it up if you see it in the meantime. My final version is a "live" recording by Jascha Horenstein and the London Symphony Orchestra at the 1966 BBC Proms in the Royal Albert Hall in London. You already know how highly I rate Horenstein in this work and this recording is, in many ways, superior to his 1953 studio version. It's certainly better played and recorded though, it must be said, even then it remains an "aircheck" in dubiously arrived at stereo. It's been available on Music and Arts (CD 4235) for some years but I think its days are now numbered there so I would hope the time isn't far off when it appears officially on BBC Legends. In the meantime you should be able to get a copy direct from Music and Arts. In an interview Horenstein called this work his "war-horse" and he certainly performed it a great deal. His conception remained basically the same down the years, something we can judge from the four recordings of him extant. Comparing this "live" 1966 performance with the 1953 studio one I hear a much deeper dimension to the darker side of the work, especially in the first movement. If, as Deryck Cooke maintains, this is Mahler's "dark night of the soul", under Horenstein in 1966 it is the "DARK dark night of the soul" - absolutely no sense that there is anything in this landscape other than utter despair and utter calamity. As a view it's conveyed by Horenstein quite magnificently, without any kind of sentimentality or mannerism. I just worry that it is, nevertheless, a partial view where his 1953 account of the movement isn't quite so much. So all-pervasive is the tragedy in the first movement that it casts a pall over the rest. Again, Horenstein deepens and darkens his conception for the second and third movement compared to 1953, movingly so. Then in the last movement, by adding a whole three minutes to the length, he explores the very depths of despair with no suggestion, to these ears, that there is any consolation at the very end and I cannot believe this was Mahler's intention. Make no mistake, this is a recording of a very great performance indeed and should not be missed. It's the kind of performance that is needed in any profile of the work. I regard it as "hors concours" in that it stands in the pantheon of Mahler Ninths rather like Furtwangler's 1942 performance of Beethoven's Ninth stands for that work: a special, one-off, never-to-be-repeated experience that deserves hearing from time to time but which is maybe just too painful, just too truthful, to stand many repetitions. Every Mahlerian and potential Mahlerian should hear it at least once, though. I think it tells us what we don't want to hear. We have travelled a long way - from Horenstein to Horenstein, in fact. I hope I have illustrated at least some of the ways that are possible into this incredible work and given you some ideas as to those recordings which I think represent them best. This is, as always, not an exhaustive list. It is, as always, a personal list. 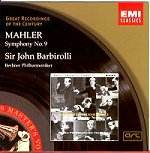 No serious collector of Mahler's music can have only one version of the Ninth in their collection. All of the recordings listed here (except one) would grace yours. Decide how you think the piece should go and choose.